Massachusetts Institute of Technology (MIT) professor Dava Newman, KB1HIK, has been sworn in as the deputy administrator of NASA. President Barack Obama appointed Newman last October, and the US Senate confirmed her appointment on April 27. The swearing-in took place on May 15 in her MIT office in Cambridge. Newman is Apollo Professor of Astronautics and Engineering Systems and the director of the Technology and Policy Program at MIT. 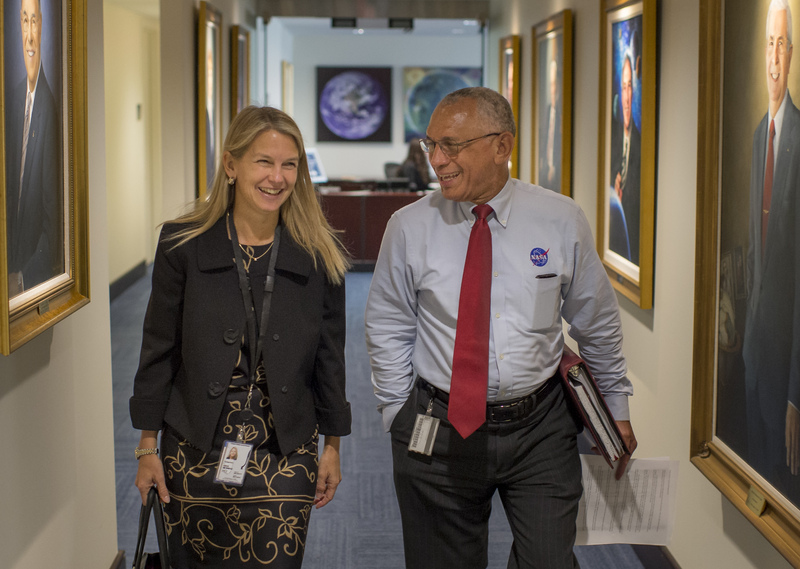 She started her official duties as NASA’s new deputy administrator on May 18 at the agency’s headquarters in Washington, DC. Thank you for commemorating with us the Hubble Space Telescope 25th anniversary. We operated a special event station with our NN4SA callsign from April 24 to 29, 2015. Our dates followed the original STS-31 Space Shuttle Discovery mission, which deployed the telescope into Low Earth Orbit in 1990. The telescope has since been serving as a premier astronomical observatory above the Earth’s atmosphere, enabling science work that had never been possible before. Its outstanding high resolution pictures also serve to bring the Universe and the science work to all of humanity. During our special event we logged 1032 QSOs with hams from across the entire Continental United States and Puerto Rico, and from 39 countries. Given our schedule and the band conditions, we decided to operate primarily on 20 meters SSB. During some days we also operated SSB on 10, 15, and 17 meters. And during some evenings we operated 40 meters SSB. When band conditions were especially poor, or when we needed to give our voices a break, we operated JT-65 across the HF bands from 10 to 80 meters. And we operated 40 meters RTTY. We self spotted on the DX cluster. We thank our contacts and other hams who also spotted us. If you contacted us and would like a paper QSL, please send a business sized self-addressed stamped envelope (SASE) to this address. We are not government funded. Please include your QSL card, if you have one. We also QSL through ARRL Logbook of the World and eQSL. Our special event web page carries some additional information, plus NASA links related to the Hubble Space Telescope and the anniversary: https://nn4sa.wordpress.com/special-events/hubble-space-telescope-25th-anniversary-special-event/ . Our operators were N4MSN, KB5EZ, WA2JQZ, KK4IKR, and KA0S. The beautiful QSL card was designed by KA0S. 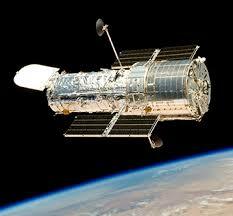 Thank you for your participation in our Hubble Space Telescope special event! The Marshall Amateur Radio Club will operate a Special Event Station to commemorate 25 years of astronomy by the Hubble Space Telescope. We will operate with our new club callsign NN4SA. Our on-the-air dates are April 24 – April 29, 2015 — GMT. We begin Friday April 24 at 0000 GMT (Thursday evening 1900 CDT local time). We plan to operate several bands and modes. During local daytime we plan to operate on 20 meter SSB and during local evening on 40 meter SSB. We will probably also try other bands and modes, based on band conditions and operator interest. Friday April 24 0000 GMT to 0200 GMT. Friday April 24 1700 GMT to Saturday April 25 0100 GMT. Saturday April 25 1300 GMT to Saturday April 25 1700 GMT. Saturday April 25 2100 GMT to Sunday April 26 0100 GMT. Sunday April 26 21 GMT to Monday April 27 0100 GMT. Monday April 27 2100 GMT to Tuesday April 28 0300 GMT. Tuesday April 28 2100 GMT to 2400 GMT. Wednesday April 29 2100 GMT to 2300 GMT. We very likely will operate during additional times. Please monitor our information on this website [https://nn4sa.wordpress.com] and our QRZ.com page [http://qrz.com/db/nn4sa]. For up to the minute frequencies and times, please check DX clusters, where we will self-spot. If you contact us, to receive a special QSL card, please send a business sized SASE to Marshall ARC, c/o Don Hediger ES32, NASA MSFC, Huntsville, AL 35812, USA. We will also QSL through ARRL LOTW and eQSL.